Lore goes that centuries ago, a mother and son belonging to the family of the Prophet arrived in this part of Kerala from Arabia to spread Islamic doctrine. 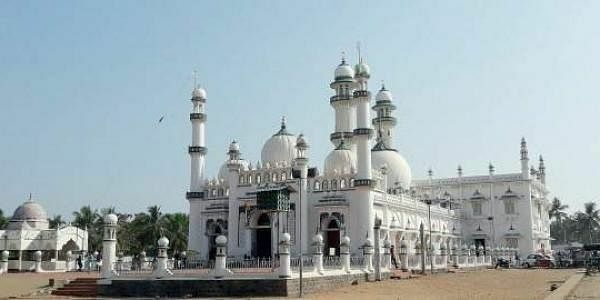 THIRUVANANTHAPURAM: Lore goes that centuries ago, a mother and son belonging to the family of the Prophet arrived in this part of Kerala from Arabia to spread Islamic doctrine. Sayyidhathunissa Beema Beevi and her son Ashaikhu Sayyidu Shaheed Maheen Aboobaker died here and they were interred at what is now the Beemapally Dargah Shareef. Every year, thousands congregate at the beautiful mosque to pay respect to Beema Beevi - known locally as 'Bee Umma' and her son. The flag will go up for this year's festival on February 28. Planned as an eco-friendly festival this year, it will - as usual - feature religious discourses on a variety of themes and other programmes. Over the years, the Beemapally uroos, as the festival is known, has come to be one of the major religious occasions in this part of Kerala, with faithful from all over the state and neighbouring Tamil Nadu attending it. The festivities will begin this year with a special prayer led by Abdul Khader Anvari, imam of the Beemapally Muslim Jama-ath. P M Yousuf Haji, president of the Jama-ath will raise the festival flag. Religious discourses will be given on themes including Islam, life after death, parenting, faith and duty and family life. The government has made elaborate arrangements to make this year's pilgrimage a pleasant experience. KSRTC will conduct special services from various places to the venue. The food safety wing will deploy special squads to ensure the quality of food sold during the festivities. Elaborate arrangements also have been made for ambulances and supply of drinking water. The festival will conclude on March 10.